One of Aruba’s favorite love nests, is making it easier than ever for roamers to connect with loved ones back home! Now when you check in at Bucuti & Tara Beach Resorts, not only do you get a set of room keys, but you get a complimentary netbook as well! Each of the compact portable computers is equipped with video capabilities, allowing guests to skype just as easily as they can e-mail, log on to Facebook or tweet. Bucuti offers free wireless Internet service throughout the resort along with a free wired connection in guestrooms, making it a breeze to hop online wherever, whenever. The resort also has several webcams, one that broadcasts live streaming videos of Eagle Beach, and two others that update still shots throughout the day. The “Bucuti Cam” has been popular amongst guests for years, as it zooms in to a designated area between 9 – 9:15 a.m. each day, allowing them to have their photo taken and wave to those back home. Prints are also available to order as souvenirs. “We love that our guests are so passionate about sharing their experiences at Bucuti with others, and we’re happy to have made it as easy as possible to spread the sunshine,” said Biemans. Complimentary internet has grown from a trend to a necessary accommodation in the days of super connectivity. 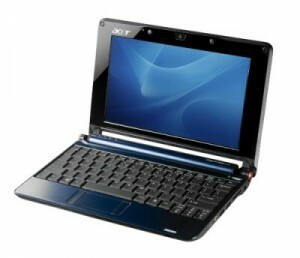 Lets hope this netbook trend follows suit. I know I’m a bit tired of lugging my laptop around with me… how about you? I want to express appreciation to you just for rescuing me from this circumstance. Right after exploring through the world wide web and obtaining suggestions which are not powerful, I assumed my entire life was done. Living devoid of the strategies to the difficulties you have solved as a result of this article content is a critical case, and ones which could have adversely damaged my entire career if I had not encountered your blog. Your own training and kindness in taking care of almost everything was invaluable. I’m not sure what I would’ve done if I hadn’t come across such a solution like this. It’s possible to at this time relish my future. Thanks for your time so much for the professional and sensible help. I won’t hesitate to refer your blog post to any person who should receive care on this situation.